CDJR Dealer Near Duluth, MN | Superior Chrysler Center " "
Superior Chrysler Center located in Superior, Wisconsin is minutes from Duluth, MN. We sell & service both new & used Chrysler, Dodge, Jeep & Ram cars, trucks, vans, SUV’s & Crossovers for customers in Duluth, MN & surrounding area. Look at our selection of new cars near Duluth, MN! In Duluth, MN and looking for a used car or truck? Superior Chrysler Center carries a large selection of used cars near Duluth of many makes & models. Whether you’re looking for Chrysler, Dodge, Jeep, Ram, Chevrolet, GMC, Ford, Toyota, Hyundai, Buick & more you’ll find that our inventory is changing daily. Good deals & low prices on new & used cars near Duluth, MN! We price our vehicles to sell! Found the one you’re interested in? Schedule a test drive and be sure it’s the one! We post the prices on our vehicles & also show you the blue book value. Looking for more? Make us an offer & we’ll do our best! Search our new car deals near Duluth or our used car deals near Duluth. We want to earn your business! We want to thank our current & past customers in the Duluth, MN area and invite you to give us the opportunity to sell you your next vehicle & if you drive to Superior for work we’d like to service your vehicle too! Chrysler, Dodge, Jeep & Ram Service near Duluth, MN! Looking for oil changes, brake job, tire rotation, tires or warranty work near Duluth? Schedule your repair with us! We have on-the-spot financing! Looking for a great rate on your next auto loan? 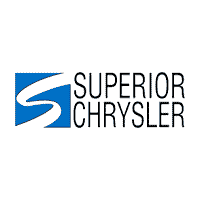 Superior Chrysler Center has one of the best finance departments in the area! Fill out our secure online auto loan application today!